CONOR MCGREGOR has come under fire for a Tweet sent from his account featuring an alleged ‘racist slur’ aimed at UFC rival Khabib Nurmagomedov’s wife. 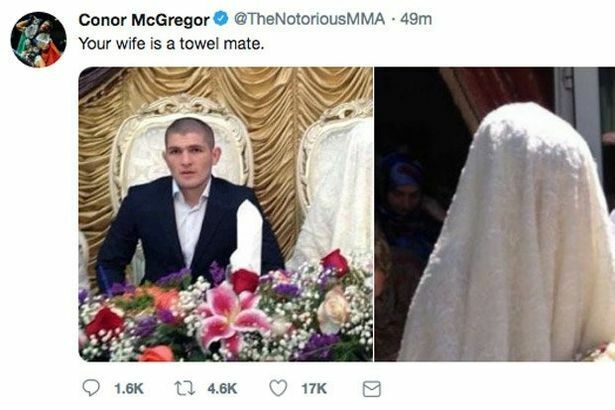 The tweet posted read: "Your wife's a towel mate" and was posted along with two pictures of the Russian fighter’s wife wearing the traditional Islamic face veil. McGregor came in for serious criticism in the wake of the tweets, which were branded both Islamophobic and racist on social media. Nurmagomedov and his wife are both practicing muslims. The Irishman has since taken down the messages following the social media backlash. They came as part of a series of tweets aimed at Nurmagomedov and his entourage. 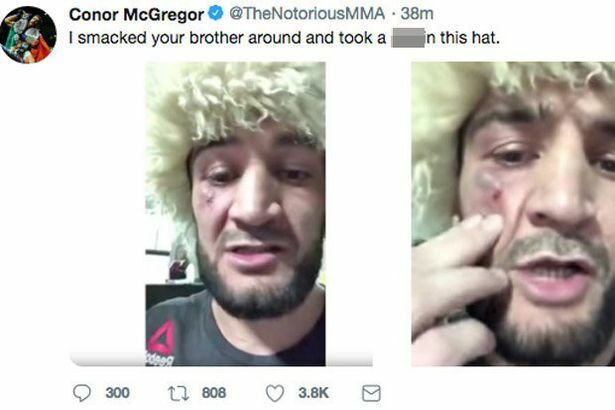 In one, McGregor’s account tweeted a message aimed squarely at the fighter’s brother, tweeting: "I smacked your brother around and took a s*** in this hat". Several other tweets also hit out at Nurmagomedov himself for avoiding a rematch with the Notorious. "Don't be scared of the rematch you little scurrying rat," one read. Why did you delete your racist tweet ? The controversy comes a week after McGregor announced he was retiring from the UFC. Despite the Irishman’s claims, UFC President Dana White believes the Notorious will return to the sport and is planning on holding talks with the star. 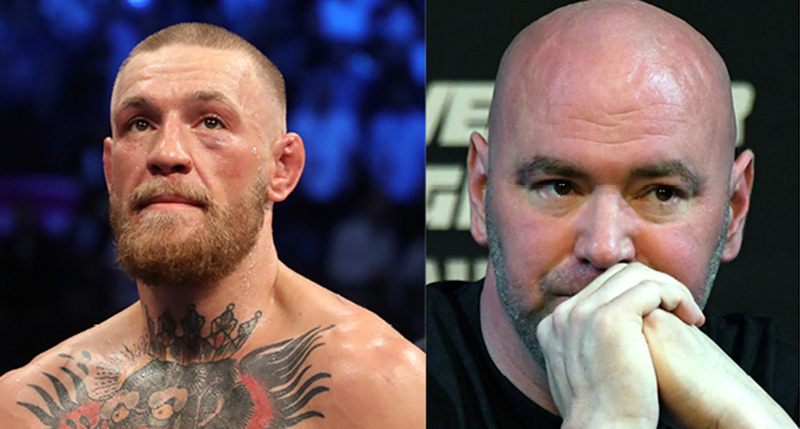 Speaking in an interview featured on UFC.com, White suggested McGregor’s statement was more likely linked to his demand for equity in UFC. White added that McGregor’s focus is more on money than respect and appeared to squash the idea of the Irishman being given a stake in UFC. “Listen, who gets respected more than Conor McGregor does? Come on,” he said. “The guy’s never been disrespected, definitely not by me. And he’s got a lot of money too. “The UFC is gonna be here long after Conor McGregor, long after Dana White, and anybody else,” White added.